Psychic Q&A: Is it Really Over? I cheated on my finance. I met this guy years ago, we got together, and he left me after a while. Just a year ago, he reappeared. He claimed to have feelings for me and he’s simply charming. But now, he tells me not to contact him anymore. On the one hand, I feel a sense of relief knowing I have closure on this relationship. But, part of me thinks that this relationship is not really over. What do you think? Is it really over? Should I just move on? When I read your question, I could feel that connection you were talking about before I even finished the second sentence. It truly was strong and amazing! As an empath, I’ve learned that the particular type of strength I feel here is actually a measure of the significance of the relationship, but not its length. An event that lasts only one moment can be life-altering. When I meditated on your question, I was shown that this relationship is a powerful force for change in your life, and while it wasn’t meant to be a permanent relationship, the effect it will have on you will be permanent—and positive! Should you just move on? Your intuition tells you that it’s not the time to put this away just yet and that there is still something to learn from this. However, you can continue to learn and grow from this past experience without him being present in your life. Your sense of relief testifies to the fact that his participation in your growth is no longer required. From what I can see, this man will not be your romantic life partner in the future. Instead, you will be with someone who can meet your needs consistently. Will he ever be back? Yes, he will. He does have feelings for you and they are loving and they are real. Combined with the type of connection energy between the two of you, they will ensure that you have not heard the last of him. If you do as he asks and do not contact him, he will contact you during this holiday season. When he does, I think you should do yourself a favor and keep listening to your intuition. Ask your higher self if there is truly anything left to gain from this man. If at that time you still feel you have had closure, then take it as graduation time and allow this chapter to gracefully close. 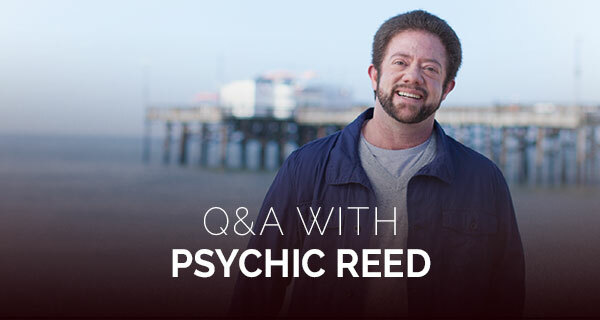 Do you have a question for Psychic Reed? Send it to QandA@californiapsychics.com and it could be featured in a future Psychic Q&A! There’s nothing worse than relationship drama, but you don’t have to navigate it alone. A love psychic is always available to help and a psychic love reading is exactly what you need to get your romantic relationships to a happier place. Helps find answers in all areas of life. The love of my life 30yrs passed away 6mos ago. His death has been so overwhelming for me and our son. I can’t pull myself together at all. I just don’t know what to do.. Help me.